Project Goal: Increased social and ecological resilience in watershed ecosystems of the Mediterranean Region in the face of climate and other drivers of change. Local action planning capacities and methodologies for increasing climate resilience are developed and piloted through joint learning, planning and testing by stakeholders in demonstration sites. Capacity building in the use of climate change adaptation tools, strategies and planning through action learning and exchange at the different levels. Capacities and knowledge of local and community stakeholders, in the use of climate change adaptation tools, strategies and planning are increased through action learning and exchange in regional networks. Local action planning for climate change adaptation increases institutional capacities and coordination and is demonstrated using practical and participatory approaches to building livelihood and ecosystem/biodiversity resilience. Climate vulnerabilities and disaster risks reduced by pilot implementations of local actions in demonstration watersheds. Practical tools/guidelines jointly developed and applied with policy makers to contribute to regional, (sub) national and sectoral strategies and plans for climate change adaptation, poverty reduction and economic development. Principles, learning approaches and results for building climate resilience in practice are documented and communicated regionally and globally to raise awareness and demand for increased application. 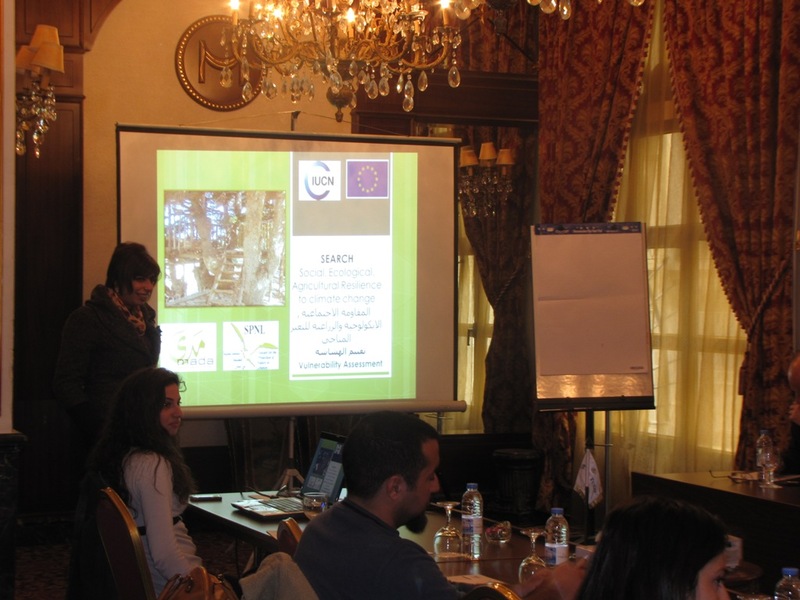 The Social, Ecological, and Agricultural Resilience in the face of Climate Change (SEARCH) project, is a three year regional project working with IUCN in five countries (Egypt, Morocco, Jordan, Palestine and Lebanon) funded by the European Union, to develop and pilot ways to aid communities in combating climate change through a process of participatory planning. SEARCH is a partnership consisting of 13 partners aiming to increase joint learning and community climate change resilience by demonstration sites and development activities. Joint participatory action planning is one of the major objectives of the project that will be met through interactive work and collaboration among the SEARCH project stakeholders, on local, national and regional basis. SEARCH is implemented in Lebanon by SPNL and MADA organizations. SPNL will ensure that the SEARCH participatory collaboration will take place with the related stakeholders through a steering committee represented on the local and national level. In Lebanon the National Steering Committee (NSC) includes, the Ministry of Agriculture (MoA), Ministry of Environment (MoE), Ministry of Energy and Water (MoEW), Water Energy and Environment Research Center (WEERC) at the Notre-Dame University, Council for Development & Reconstruction (CDR), University of Balamand (UOB), MADA & IUCN. The following committees role is summarized by: 1- Providing guidance and supervision of project activities, 2- Provision of required resources when available, to facilitate project progress.3- Monitoring the achievement and progress of project objectives, 4- Providing technical assistance and guidance for the project team 5-Establishing an efficient network for project implementation. 6-Setting efficient system for knowledge exposure and transfer 6-Facilitating networking with other national institution on the ground 7-Supporting fund raising for related projects when possible. The following committee shall meet every six months to discuss project progress and provide assistance and guidance to the project team. 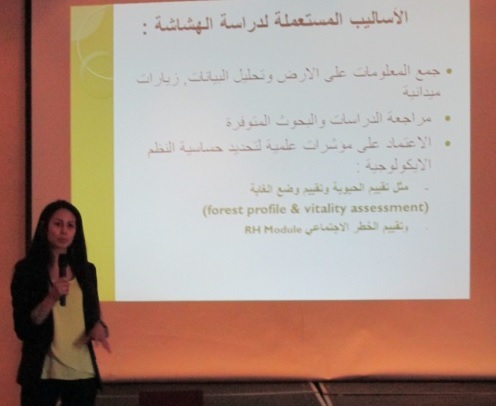 The SEARCH Project team represented by SPNL and MADA in Lebanon will assure the facilitation of the committees’ roles through coordination and dissemination of information and knowledge between different stakeholders.